His various manifestations in Japanese culture. .................................................................... Introducing Japanese Buddhist and Shinto Deities. It is said that "Hibuse-no-Fudo", Hibuse Fudo 火伏不動 protects from fire and theft. The dealers in the outdoors of about 500 shops gather, and Dharma, garden trees, toys, food, etc. are sold on that day. 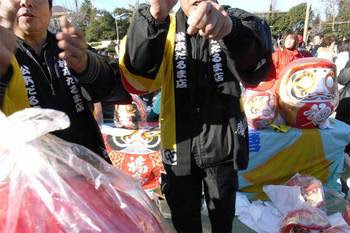 The Dharma fair which is held at the very end of the New Year Season in the Kanto district. From 9:00 to around 17:00. 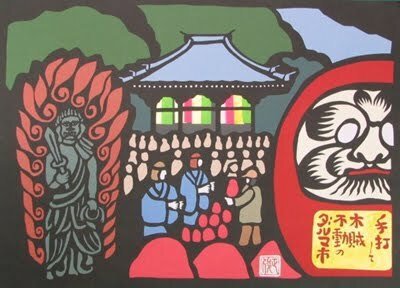 January 28, the Day of Fudo. The name Asao is said to originate from the area's agricultural production of hemp, or "asao" in Japanese. 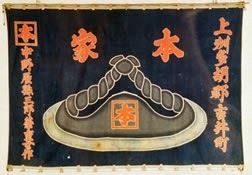 It is said that linen cloth made from hemp of the area was offered as tribute to the Imperial Court in the 8th century. 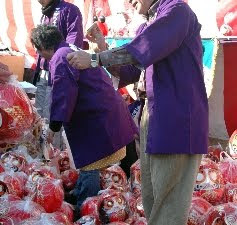 The Daruma Market in Asao, which happens to be the last of all Dharma doll fairs held in Kanto region every year.
. asao　麻紵 麻緒, 麻苧, asahimo 麻紐, asa-ito 麻糸 . Striking sparks over a Daruma Doll after it is sold, to increase the Good Luck it will bring to the new owner. hokuchi 火口 tinder, lit. 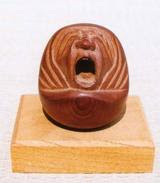 "fire mouth"
To strike fire for good luck (kiribi　切り火）when someone leaves the home for a trip or a dangerous job is a familiar scene from Zenigata Heiji, the detective of the Edo period. The sparks will ward off evil influence and bad luck. Legend tells of Prince Yamatotakeru (日本武尊) , who had to go on a mission to the North to quell enemies. His aunt gave him a pouch with a flintstone, which saved him in peril on the trip. Even now you can buy the flint stone as a lucky charm. 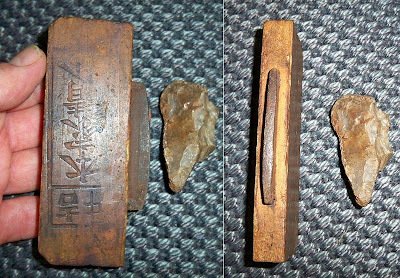 Japanese flint stones are made from a kind of quarz glass (sekiei 石英) or from agate (menoo 瑪瑙). 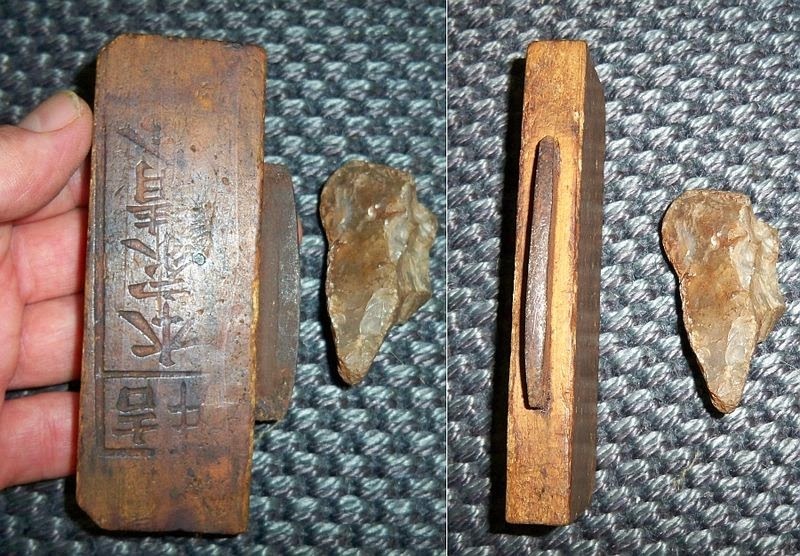 They can be used with a piece of metal to produce sparks (hiuchi gane 火打ち金／燧鉄). 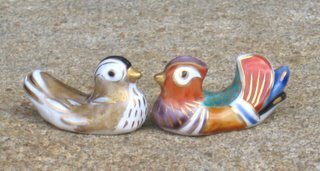 along with the hiuchi ishi (fire beating stone, flintstone) and hokuchi (tinder) were used to light fires in feudal Japan. The store Masuya 升屋 near Shiba Shinmei 芝神明 shrine sent out his vendors to make business in Edo. They carried an old helmet sign (kabuto　兜) on top of their merchandise as advertisement, because this was the shop sign of Masuya. Another shop at the postal station Yoshii-juku 吉井宿 also used such a sign. His merchandise was of good quality and soon sold all over Japan.
. tsukegi 付木 startwood for fire, "match" .
. Doing Business in Edo . Its origin is a sweet from China called Buto ぶと. 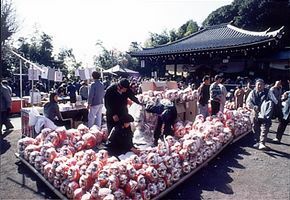 In 768, when the shrine Kasuga Taisha was built, the priests of the shrine dress in hunters gear (kariginu 狩衣 ) and pound rice for mochi, which are fried in oil. 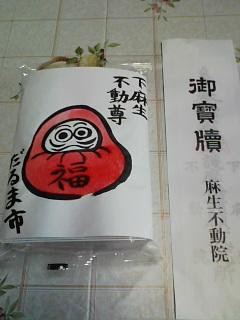 They are also written 伏兎. The tea stall near the shrine, Chiyo no sha 千代の舎, began selling them during the Edo period. They were now filled with rough sweet beans (tsubu anko) and grilled on both sides to purify them. 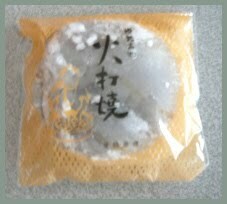 Nowadays they are called gyuuhi mochi 求肥（ぎゅうひ）餅. 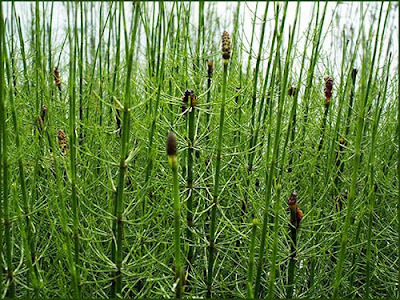 inusugina, inu sugina 犬杉菜（いぬすぎな）"dog field horsetail"
It grows wild from Hokkaido to Kyushu.
. Masaoka Shiki 正岡子規 .
. Tsukushi 土筆（つくし）horsetail plant . is the only living genus in the Equisetaceae, a family of vascular plants that reproduce by spores rather than seeds. A small crepe-pancake is wrapped around white miso paste The crepe is made from a special kind of flower, gyuuhi 求肥（ぎゅうひ), which gives it its special "mochi mochi" soft texture. It is a very simple but well-loved sweet. 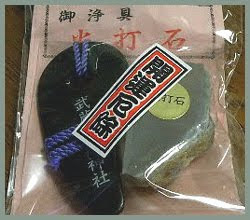 These sweets are only sold on one day of the year, on July 16, the day in honor of En no Gyoja, founder of the Yamabushi. . . . . . . SEARCH - ALL my Entries !